While they have until the eve of the first round to pull out and save the £960 entry fee, Fox and Rice look likely to join fellow amateur stars Gary Cullen, Stephen Browne and Colm Moriarty in a bid for the Holy Grail of top golfers ­ a European Tour card. While Moriarty, Cullen and Browne had already announced their intention to seek a professional future in the paid ranks, the entries of Rice and Fox are a surprise. A Walker Cup panellist, 26 year old Fox has consistently declared that he is not good enough to turn professional while Limerick born Rice, a business graduate of the University of Toledo, is still not sure if he will turn up at Chart Hills next Tuesday (18 Sept). Rice said: "I'm still trying to make up my mind. I thought it would be good experience. You don't lose your amateur status unless you get to the third stage and if I got that far and got a card then I'd obviously turn pro. "But I'm in no panic about it. It would be an experience just to take part and see how I do, but it would be a big thing to leave the amateur game. If you play on the international team you are treated very well and looked after. This will be going into the unknown." European Amateur champion Browne is fully determined to make the jump while Mullingar Scratch Cup winner Colm Moriarty has also had his sights set on a tour card for the best part of two years. Under the Rules of Amateur Status, an amateur will not be in breach for entering Stage 1 or Stage 2 of the PGA European Tour Qualifying School. But any amateur golfer who qualifies and subsequently files an entry for the Finals of the PGA European Tour Qualifying School in southern Spain in late autumn is deemed to be in breach of the Rules of Amateur Status. According to the PGA, "a first time entrant to the Qualifying School Finals who wishes to apply for reinstatement as an amateur, will be regarded sympathetically by the Amateur Status Committee and it is possible that he may be reinstated after a period of six months from the date of the infringement. "However, if once reinstated, a second or subsequent entry is made to the Qualifying School, or any other action taken by him is deemed to be in breach of the Rules of Amateur Status, such action may result in an indefinite period awaiting reinstatement." After paying a whopping £960 sterling entry fee, the players have until the day of the tournament to pull out and get a full refund. But one player who certainly won't be pulling out is 26-year-old Eamonn Brady. The Dubliner, who made his professional debut on the Canadian Tour, winning the Myrtle Beach Open before fading later in the season, is scheduled to join Rice, Cullen, Eoin Feely and Peter Walsh at Chart Hills. Brady qualified for the second stage from the Kent course last season but to progress at Emporda in Catalonia. But the nephew of former Arsenal and Juventus great Liam Brady feels that he is a much better player after a year in Canada and fully expects to progress to the finals after sorting out some swing problems. "My long game has been and I couldn't sort it out until I got back," he said this week. "I did well at Chart Hills last year and I'll have the same caddie again this year and I'm pretty confident about my chances." Back in Dublin, Brady knows exactly what awaits him in England. Challenge Tour players such as Damien McGrane, Peter Lawrie and Paddy Gribben and former Tour players Philip Walton and Gary Murphy are certain to be involved in the second of third stages of qualifying, depending on exemptions. Walton, who described the tour schools as being "like a prison sentence", will ain automatic entry into final qualifying while McGrane can still gain a place if he finishes between 16th and 45th on the Challenge Tour. The top fifteen finishers on the Challenge Tour gain their tour cards automatically but McGrane's failure to win the Formby Hall Challenge three weeks ago may well have cost him an automatic spot. Hermitage man Browne will be joined by Ireland team-mate Fox at the Wynard Club near Middlesborough alongside Conor Mallon and Robin Symes while Kerrymen Graham Spring will be in action at the Five Lakes Hotel and Country club near Colchester. Ulsterman Raymie Burns leads the biggest Irish challenge at Carden Park, near Chester where he will be joined by Moriarty, Padraig Dooley, Ted Higgins, Francis Howley, John Kelly, John Langan, Zak Rouiller and Donegal's Ciaran McMonagle. 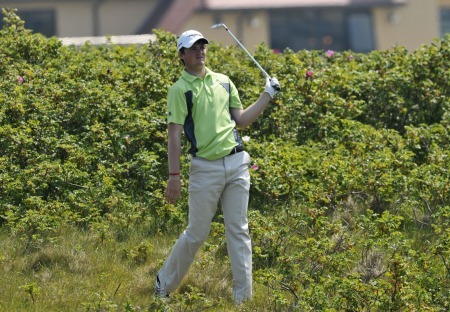 Dunfanaghy based McMonagle turned pro over 12 months ago and has plied his trade in MasterCard Tour events in the UK in a bid to prepare himself for the rigours of the tour school. Amateur stars Shane Lowry, Paul O'Hanlon and Jonathan Caldwell have entered the first stage of this month's European Tour Qualifying School. The trio form part of a 34 strong Irish army bidding to make it all the way to the third and Final Stage at PGA Golf de Catalunya in Spain from November 13-18. 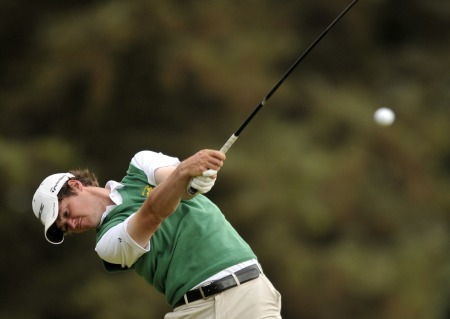 John Kelly will lead the Irish challenge at Stage Two of the European Tour Qualifying School from November 20-23. The St Margarets professional will go to Costa Ballena in good form after coming through a four-way play-off to secure third place in the Srixon PGA Play-Offs at Little Aston recently. Irish Region Order of Merit winner David Higgins, who is already guaranteed starts in the 3 Irish Open and the BMW PGA at Wentworth next season, will be at Sherry Golf alongside Australia based Eddie Barr and Challenge Tour players Michael McGeady, Colm Moriarty and Simon Thornton.